Lagos State, Nigeria5/7 Alade Lawal Street, Opposite Divisional Police Station, Off Ikorodu Road, Anthony, Lagos. Lagos State, Nigeria5/7 Alade Lawal Street, Off Ikorodu Road, Anthony Village, Lagos. Lagos State, NigeriaNo 2 Oyefeso Avenue (road between Consolidated Hallmark Insurance and Fidson Ltd), Off Ikorodu road, Savoil Bus stop, Obanikoro, Lagos. Lagos State, Nigeria37 Offa Road, Along Flower Garden Opposite Road Safety Hq., G.R.A., Ilorin. Lagos State, NigeriaAlpha Partners Professional Training Conference Centre. 200, Muritala Mohammed Way (3rd Floor), Yaba Lagos. KenyaDevimpact Institute Training Centre, Nairobi, Kenya. 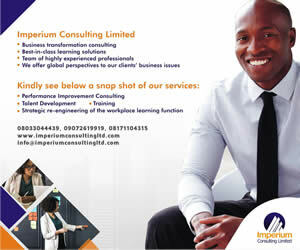 Lagos State, NigeriaAngelus Consulting and Research Limited. 70B, Olorunlogbon Street, Anthony Village, Lagos State. KenyaDATA-AFRIQUE TRAINING CENTRE, NAIROBI KENYA. State, Nigeria5/7 Alade Lawal Street, Opposite Divisional Police Station, Off Ikorodu Road, Anthony, Lagos.